The first two days of the 2015 World Series of Poker Main Event final table have taken place, where the nine final poker players that remained back in July have met up once again to finish what they started. Taking place at the Penn & Teller Theatre in the Rio All-Suites Hotel and Casino in Las Vegas, it has been an exciting two days into the tournament final. With only three players left in the final table, we take a look at the November Nine and their starting chips on Day 1. Now only three players remain in the final table, with fourth place getting taken by Max Steinberg where he took $2,615,361; not a bad payday. McKeehen still the chip leader with a huge lead on the other two players. 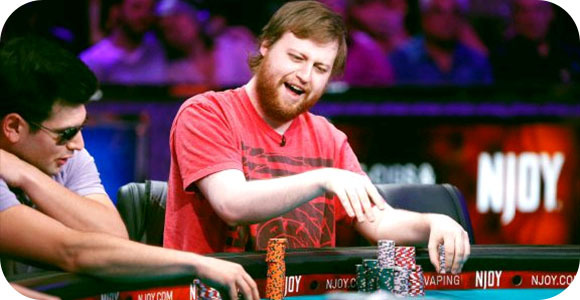 If he is able to keep dominating like he has these past two days, he will certainly be the next WSOP Main Event champion, $7.6 million in prize money and the coveted gold bracelet. It has been an exciting poker tournament so far.